Earlier this year Nick Schmandt, one of our Data Scientists, gave an “Introduction to CloudQuant” presentation to the Students of the Financial Program at the University of Chicago. Below is the video of his presentation. His slides are available our Google Drive and his script is available and ready to be cloned and modified by you at app.CloudQuant.com. A general overview of the CloudQuant environment is provided, starting with the basic CallBack functions (such as on_start, on_finish, and on_minute_bar). CloudQuant is a Python-based system, there are several public scripts available which can be easily modified. CQ Lite users have access to minute-by-minute stock data, and Elite users have access to Tick and Quote data as well as sentiment and other market-based factor analysis values. The backtesting engine has some of the best market-predicting logic, allowing its users to accurately predict the prices obtained when stocks are bought or sold at different times. In the video, Nick examines three different ways to purchase and sell stocks in the CloudQuant environment. 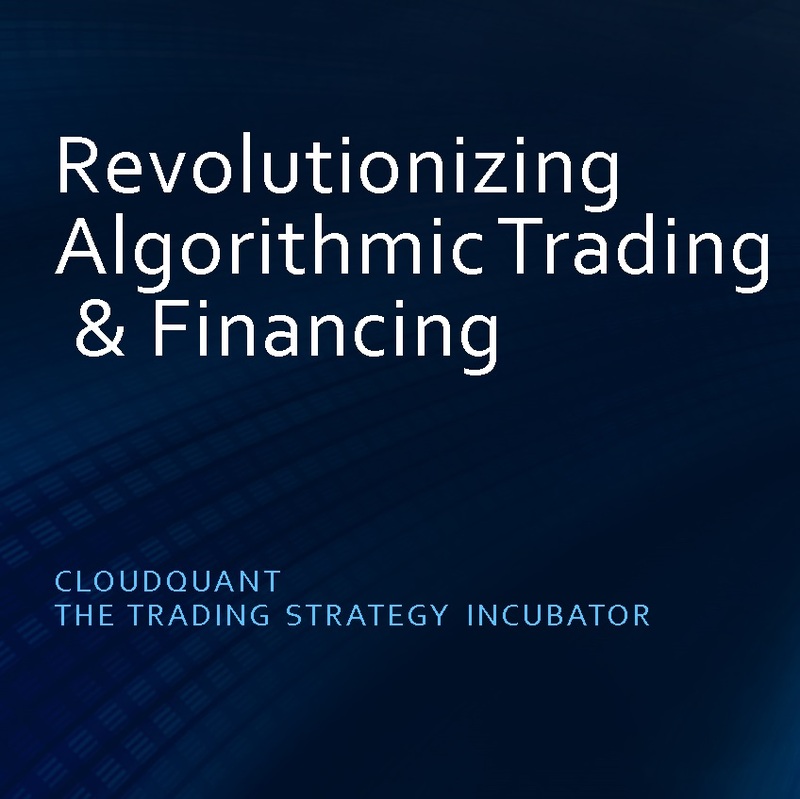 The accuracy of these predictions is one of the greatest assets for the CloudQuant environment. Forums are available to discuss different technical issues and problems with the CloudQuant website, as well as request additional features. Towards the end of the video, Nick discusses an actual model in development using the TA-LIB library which is included in CloudQuant. A Factored Basket model is a zero beta, market-neutral strategy. This is used to insulate a trading environment from market motion by keeping equal amounts of stock invested in long and short positions by correctly selecting stocks that will outperform/underperform. Shares are rebalanced daily based on a chosen algorithms which predict success. Nick shows three Factors each of which achieve different levels of success, a successful strategy could likely be deduced by combining these algorithms or other factors.